One of the few Hindu temples in Bangkok, the Wat Witsanu Temple or the Vishnu Temple is grand in every manner. The entire structure of the temple resonates the spirit of India, with typical Indian architecture and design. Beautiful idols of Goddess Laxmi, Lord Vishnu and Lord Shiva are made from stones brought specially from India. This magnificent grandeur of the temple is accompanied by the generosity of all those there. If you get a chance to visit the temple during the weekend, it is a must visit, as every weekend, traditional Indian food is served. Pay a visit to the in-house shop, and stock up all the authentic Indian spices and other ingredients. 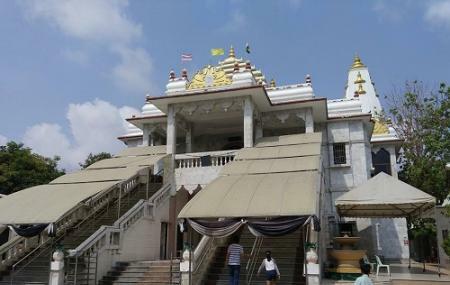 How popular is Wat Witsanu Hindu Temple? People normally club together Kidzania Bangkok and Royal Chaophraya Princess while planning their visit to Wat Witsanu Hindu Temple. Very pure atmosphere.love being there. This temple is now already completed 98 years. Very old temple & nice place to meet God..